When you’re in the market for a home, insulation may not be the first thing to come to mind, but considering its overall role in the home’s ability to provide a comfortable living environment. And to avoid astronomical heating and cooling bills, checking the insulation of the home must be on the inspection to-do list. The quality of insulation effects the cost of owning a home as a result of the need to heat and cool the building. For a seller of real estate, it is important to make sure that the place is well insulated as it is a good selling point that add value to the house. 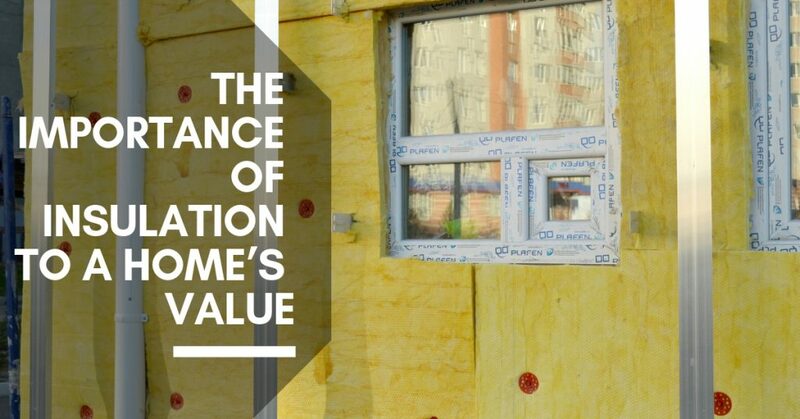 Checking on the quality of its insulation is a necessary part the process when buying a home. Unfortunately, it is impossible to look behind walls to inspect for insulation. If the owner can provide evidence of the type and “therm rating” of the insulation, that should give you some insight. Sometimes there is a certificate of installation issued by the installing contractor. It’s also possible that an older house may have originally had lacked wall insulation, but had it blown in at a later time. .
Two types of insulation that can be personally inspected are floor and attic insulation. Checking the floor insulation makes it necessary to go into the crawlspace or basement but that should be done for other reasons as well. If the floor is well insulated, there will be sheets of insulation called batts under the floorboards that will be seen. If all you see are the floorboards, then there is no insulation. Checking attic insulation, likewise, involves going into the attic. If the attic is not boarded over, you will see the blown fiber insulation. It will look like cotton on the attic floor. If all that is seen is wood, wiring, and drywall inside the attic, then there is no insulation. Considering the quality of its insulation when selling a home is important. Selling a properly insulated home is not only a good selling point, but it improves the value of the house as well. It would be a good idea before putting a house on the market to check its insulation. If you have already improved the quality of the insulation of the house, and provide the buyer with a copy of the certificate of installation that is often issued by the installer. If one wasn’t given, you may be able to call the installer and ask for one. Most installation companies will send a new one as customer service for free, but occasionally they may charge a nominal processing fee. When selling a house that lacks proper insulation, consider having it installed. It will increase the value of the property and make it easier to sell. The increase in value will be more than the price of the work and a good investment. Showing potential buyers certificates of installation and contractor receipts for any work or improvements made to the home can be a big selling point. Both buyers and sellers need to keep insulation in mind. The buyer will get a better and more cost-efficient house. The seller will not only get better value for the house but have a helpful selling point as well. Insulation is an important part of a cost-efficient home, so as long as both buyers and sellers keep it in mind both will benefit. If you have questions about insulation in your home buying process, or need help finding the best home for you, discuss it with your Realtor. Most Realtors will recommend a professional home inspection as part of your buying process, and more information about a home’s insulation can often be found in one of these types of inspections. The Shogun Style Home gets it’s name from the simplicity of the architecture. You enter through the front of the home and it just goes straight back. You walk throug h each room to get to the next. Initially, this style of home was popular with the middle class, and then became a sign of poverty in the mid-20th century. These homes are built of wood, and usually found in bright colors throughout the city. Another version of this home is the Camelback Home. “Camelback” shotgun houses include a second floor at the rear of the house. They are both built with very simple materials that run from the outside of the home, to the interior. After Hurricane Katrina in 2005, New Orleans Real Estate lost many of these historical homes. The damage was so excessive, and the homes were so old that bulldozing was the least expensive option. There are still many brightly colored Shotgun Homes, and Camelback Homes, in the city that have been spared demolition and add to the historical preservation of the Real Estate in New Orleans. French Style homes are very popular in the south. Many homes for sale in the New Orleans area would be described as French Style homes. The exterior of these homes are typically recognized by their stucco and/or brick exteriors. The windows may have working shutters, or decorative shutters and arches above windows and doors. The high-pitched hip roof pulls together the elements of the exterior and is a very dominant characteristic. The interior of the French Style most often has fireplaces adorned with ornate fireplace mantels and hearths. A lot of stone and wood features inside the home giving it a classic French feel. As you enter this style home, you will see high interior doorways, and high ceilings. If the home is occupied and decorated, the tall windows will most often be covered with dramatic silk drapes that puddle on the floor. Subtle colors, think white, pale mint, sand, linen or gray. Adding pops of color in decorative accents, but even then, it will be subtle. Contemporary-Modern Homes are very popular in states like California, Texas and some spr inkled throughout the south. When searching for homes for sale in New Orleans, a few Contemporary-Modern Homes will come up on your list, especially in the higher end neighborhoods. These homes are most identifiable by their sleek, contemporary design. Clean, simple lines and minimal decoration. The use of glass, and flat rooflines define the exterior. Oversized windows that are left uncovered, to bring the outside in and utilize the natural light. An easy to spot exterior element of this style home is the use of skylights and solar panels strategically placed to light and heat the home. The interior of the Contemporary-Modern home will carry the esthetics of the exterior, to the interior. The use of glass, clean lines and minimal décor. Some may describe the floor plans as being unusual with an openness that carries through to outdoor living spaces. Interior colors of the Contemporary-Modern Home will include neutral tones of gray, brown, and blacks and whites. Simple, bare flooring in gorgeous finishes such as hardwoods, porcelain and ceramic tiles, travertine and marble have made way to Modern-Contemporary living. With the age of technology, this style home offers the best solutions for hosting your gadgets. Technology is a décor feature of the Modern-Contemporary home. The use of technology in this style of “smart home” can control things such as your lights, heat and alarm systems through smart phones, computers and tablets. Traditional homes have characteristics of one or more architectural styles. Brick exteriors and shingled roofs of various pitches, with various architectural details. These homes are famous for not being easily defined as any “particular style”. They may be eclectic, displaying multiple stylistic influences or simply very pared-down. They fit in well in established neighborhoods and rural lots. You will appreciate the welcoming front porches and “traditional” floor plans. The interior of the home will have formal living and dining rooms along with cozy fireplaces. This style of interior is the most simple of all to decorate. Neutral paint colors, and flooring using natural, but durable elements in a less than open floor plan. The use of interior walls define each room as it’s own. It is easy to make the Traditional Home “your own” with unlimited decorating ideas, because it is not bound by the architectural elements of the other home styles, such as the Modern-Contemporary or French Country Style. The Tudor home will be easiest to identify by it’s asymmetrical style of architecture. Here in the United States this style of home first began growing in popularity during the late 19th and early first half of the 20th century. Late in the 20th century it gained popularity once again. The Tudor Style Home are inspired by elements from medieval architecture of the early 16th century. Most recognized by their exterior features of steeply pitched roofs and decorative half-timber used sparingly. The steep roof design can endure the harsher elements of lots of rain and snow. In this country, the endurance of this Tudor Home style roof is popular in regions such as the Midwest, Northwest, and along the East Coast, although other regions boast their fair share of this special home. Tudor Homes have doorways that are often embellished with stone pavers that are not uniform in shape. These doorways are inset to offer protection from the elements and often a focal point to enhance the curb appeal of the home. Always adorned with massive brick or stone chimneys, again as much as a design feature, as a way to provide heat in harsh elements. Windows come in groups of two, three or four, and are tall and narrow. Sometimes the glass panels are diamond shaped versus rectangular. The interior will retain the architectural features of exposed beams, arched doorways, beaded board wall paneling and elaborate mantels. Warm colors, such as neutrals with hints of gold, red and green for contrast. The use of heavy draperies, velvet and warm woods add to the coziness of Tudor Style home. Despite the cozy design, the Cottage Style Home can offer a lot of space. Not skimping on living space, the floor plans of these homes make them feel larger than their square footage. The Cottage Style Home sits well on picturesque lots, waterfront and beach front areas. Storybook gable roofs, balconies, small porches, and bay windows, along with the colorful paint choices, make these homes a stand out for curb appeal. The interior of these homes lend to a cozy style of living that lacks in the larger, less personalized homes of other styles. Soft colors, woods and the minimal use of hard stones make for an ease in decorating. There are many more styles of homes available. By doing your research ahead of time, visiting a few styles and knowing which ones best fit your needs, will make your home shopping experience a more pleasurable one. While there are many well preserved architectural styles across the United States, some older houses have been renovated and often disguise their origin. Using a Real Estate Professional can assist you in finding out the history, and additions to these homes. Also, getting a Home Inspection will reveal any poor renovations or lack of permits in the pre-owned home market.